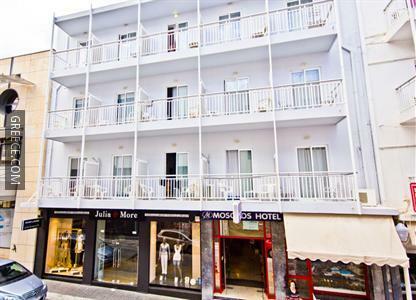 Enjoying a central location, the Moschos Hotel offers easy access to Rhodes City's best tourist attractions. 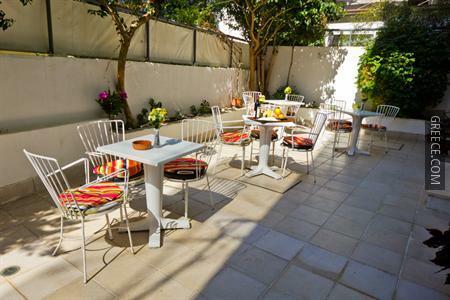 Amenities at the Moschos Hotel Rhodes include a coffee bar, free parking and a 24 hour reception. The hotel also provides a games room, a concierge and a currency exchange. The hotel offers spacious and comfortable rooms equipped with cable / satellite channels, a shower and a refrigerator. Guests can fill up on a continental breakfast every morning, before a day of sightseeing in the area. A large selection of dining options are also available nearby. The hotel is a 10 minute walk from Colossus of Rhodes, while the Archaeological Museum of Rhodes, the Aquarium of Rhodes and the Kahal Shalom Synagogue can be reached by foot in under 20 minutes. Situated within a five minute walk is the Palace of the Grand Master of the Knights of Rhodes.